This version of burger steak is beefy and with lots and lots of garlic. So if you are one of those who love garlic, this recipe is for you. Very easy and very tasty. You don’t have to go out of the house to enjoy your favorite burger steak. 1. In a bowl, mix in the ground beef, garlic paste, onion, egg and all-purpose flour. Season with salt and pepper. 2. 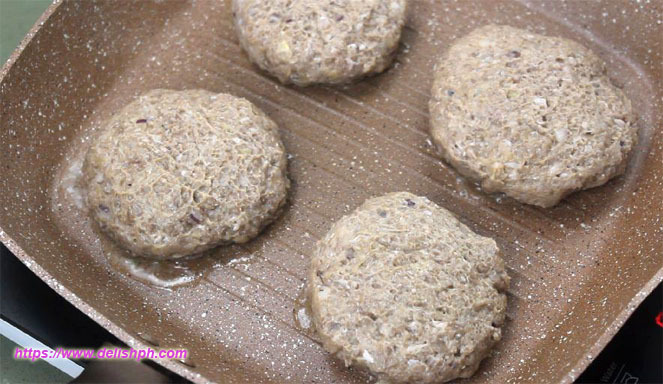 Form them into patties (choose any size you want). 3. Heat the grillpan (or you can use a regular pan). Grill the patties until cooked on both sides. Set aside. 4. In a separate pan, heat some cooking oil. Sauté onion and garlic. Add in the all-purpose flour. Mix until flour is properly incorporated. 6. 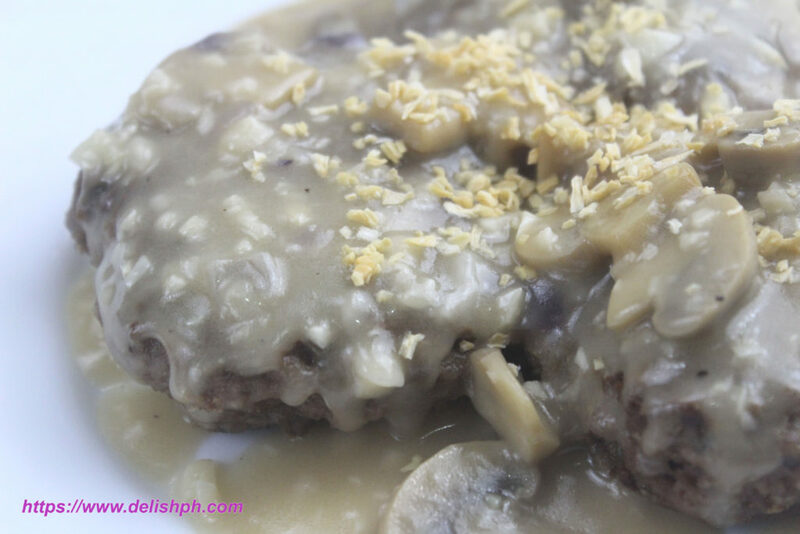 Arrange some burger patties in a plate, pour some garlic gravy and sprinkle some roasted garlic. I will not deny, I am one of the fans of burger steak from one of the popular fast-food chain in the country. That’s why I decided to make my own version at home, adding more garlic. To keep the taste of the beef and to make it stand out, I didn’t add a lot of spices on it. But you can always add if you want to.